Upscale those quilt block designs from the Quilt Block Wizard, and adapt them to different quilting techniques! We will start with a quilt block designed around an embroidery. Utilize the Modify module to separate the quilting stitches from the embroidered applique. Save as two distinct designs so you can embroider the fabric, and then quilt in the hoop after piecing the top. 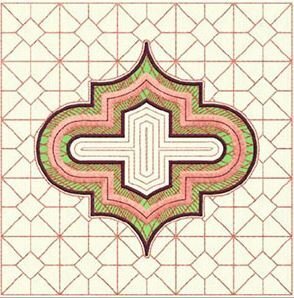 Create a coordinating block with the Quilt Block Wizard to go between the embroidered sections in your quilt. All that in one class! This class requires Premier +2 Embroidery Extra and Ultra package.